A privacy fence can be very decorative. It can be made from a variety of materials and depending on the area you want blocked off you can make it an industrial look or a very homey look. Whatever your personal style and taste is, there is a type of privacy fence available to you. Some people choose to not even use a traditional fence for privacy but instead use shrubs or trees. They will line the area with close fitting tall shrubs or trees. This is very nice because it lends an attractive look to the landscape. For people who have gardens, hot tubs or pools, this option may be particularly appealing. 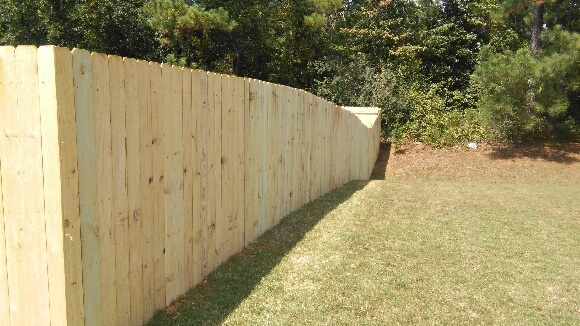 The downside to this type of privacy fence is that it will need much more maintenance to care for and trim the shrubs or trees so they stay attractive. Thanks for this article about privacy fence. I didn’t know that it could be an attractive look to a landscape. I wonder if the fence could compliment the landscape, especially if it could be incorporated with the other plant-life that’s nearby.